UFCW Local 324 Exec. VP Matt Bell was among about a dozen labor activists arrested by Anaheim police for blocking traffic at a major intersection in the Disney Resort area Jan. 24. The arrests came as part of a vocal march by hotel workers who are currently locked in stalled contract talks with major hotel chains in the Disney Resort area. Thousands turned out for the march and rally that began around 5 p.m. and lasted for about three hours, culminating in a dramatic series of arrests that took place as crowds cheered from the sidewalks. The current contract dispute marks the second major labor confrontation in which members of UNITE HERE Local 11 has been joined by other area unions including Local 324 as a way of amplifying their message. Activists from more than a dozen unions took part in one of the largest rallies in years and highlights the increased level of cooperation within Orange County’s Labor Community in recent months. Bell said that his decision to ignore instructions by police who ordered the crowd to disperse is part of proud history of civil disobedience and represents the kind of unity necessary if Labor hopes to make gains in other industries as well. “It’s a way of letting hotel workers know that they are not alone in their fight,” Bell said. After citing Bell and others for failing to disperse, police released protesters. 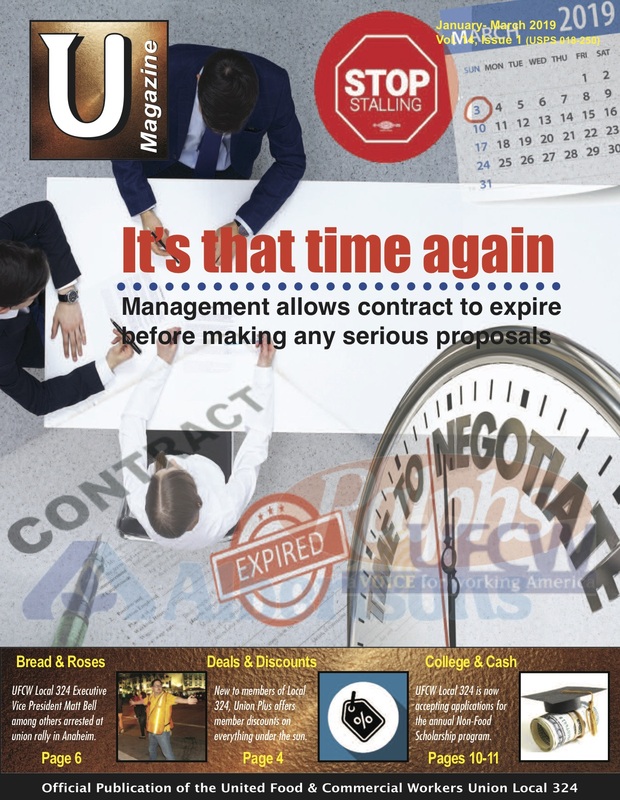 NextWhat Happens When Our Contract Expires?